Miley Cyrus is dancing with her, Kanye West sings about her. So who is Molly? Molly is a fairly common street drug that causes hallucinations and euphoria but also promises a terrifying and horrific crash. In addition to the drug’s advertised purity and potency, celebrity endorsements are boosting its popularity. What’s not as widely advertised is the fact it’s dangerous, addictive and even deadly. Molly is short for chemical molecule, referring to a purer form of 4-methylenedioxymethamphetamine (MDMA). The same white powder as what’s in the drug Ecstasy – raises serotonin levels in the brain and induces feelings of euphoria, pleasure, empathy and closeness, often leading to unprotected sexual activity. The high can last three to six hours and the crash that follows is worse than any hangover you’ve ever experienced. Molly is claiming lives nationwide, in particular in connection with dance music events. Just last week a University of New Hampshire junior died at a music festival in New York after allegedly using Molly, and the number of deaths is growing at an alarming rate. Like bath salts, MDMA is man made and makers of MDMA can add anything they want to the drug, so its purity is always in question. 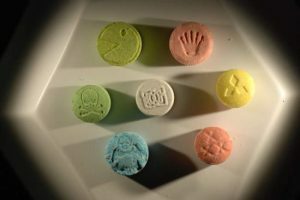 Most users of Molly take a pill, tablet or capsule, which often look like candy. The pills come in different colors and shapes and sometimes have cartoon images on them. Molly’s deceptive look coupled with it’s newly found paparazzi like media attention has brought this deadly drug to a new more enlightened public. So tell your kids, don’t take Molly to the dance because it just may be the last dance they’ll ever attend. These issues are just the beginning of a full analysis of any DUI/OUI/DWI case. If you have been accused by the police in Maine of OUI, “Operating Under the Influence of Alcohol or Drugs”, possession of a controlled drug or any alleged motor vehicle or criminal offense, feel free to call Attorney John Webb today at 207-283-6400 and arrange a free consultation to discuss your case or visit: www.nicholswebb.com. Disclaimer: This article is intended to provide general, not specific, information about Maine law. The publication of this article does not constitute an attorney-client relationship between the author(s) and the reader(s). Previous post: THE TIDE HAS SHIFTED…..
Use this simple form to get the legal assistance you need as soon as possible. All rights reserved OUI Hotline and John Webb, Esq.